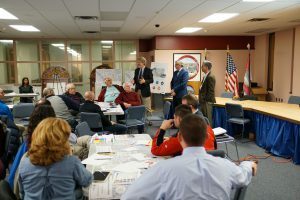 The Naugatuck Valley Council of Government is committed to engaging residents and stakeholders in all stages of the planning and policy-making process. Meaningful public input is necessary to best understand the needs of the residents of the NVCOG region, and helps to ensure that projects and funds are allocated in the most effective and equitable. For the Route 8 Alternative Transit Modes project, the Team has prepared a public engagement plan that ensures a proactive Public Outreach and Engagement process. The Team will engage the public in a discussion regarding future transportation options for the Route 8 and Waterbury branch rail line corridors.